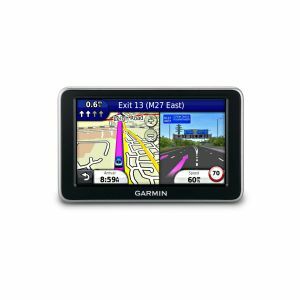 The 5-inch nüvi 2440 is preloaded with City Navigator NT street maps for 24 countries in Western Europe and has advanced navigation features including PhotoReal junction view and nüRoute technology predictive routing. A multi-point route planner automatically sorts multiple destinations into the most efficient route. Text to speech speaks upcoming street names on your journey for extra route awareness, letting you keep your eyes on the road, not on the sat nav. Lane Assist shows the correct lane choice for upcoming junctions and motorway exits ' so theres no need to panic, hesitate or make last-minute lane changes, even on unfamiliar routes. PhotoReal junction view provides accurate landscape detail and road signs for upcoming exits and junctions for exceptional clarity down to the exact trees and pylons! nüRoute myTrends learns your driving habits and recognises your favourite destinations to predict where you're going - saving time otherwise spent activating your route. With trafficTrends, nüvi 2440 automatically learns traffic flow trends and problems reported by other drivers to improve your routes and better estimate your time of arrival based on time of day and day of week. So whether youre driving to and from work or a regular weekly event, nüvi 2440 will help you get there on time. nüvi 2440 has the unique Cyclops safety camera warning system built in, giving real-time, direction-relevant and accurate alerts and overspeed warning as you approach one of hundreds of fixed, mobile, variable limit and temporary cameras. 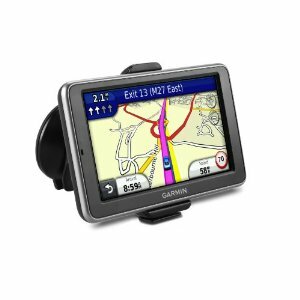 It also contains speed limits for all major routes and lets you manually correct and update road speeds, sharing any changes with other users via USB. Multi-route preview shows available routes to your destination on the map for visual comparison before selecting your preferred journey and the ecoRoute fuel-saver feature helps you save money and fuel and reduce your carbon footprint with the option to follow the `less fuel route to your destination. ecoRoute also helps you to develop more efficient driving habits, calculates trip cost and enables accurate expense reporting. 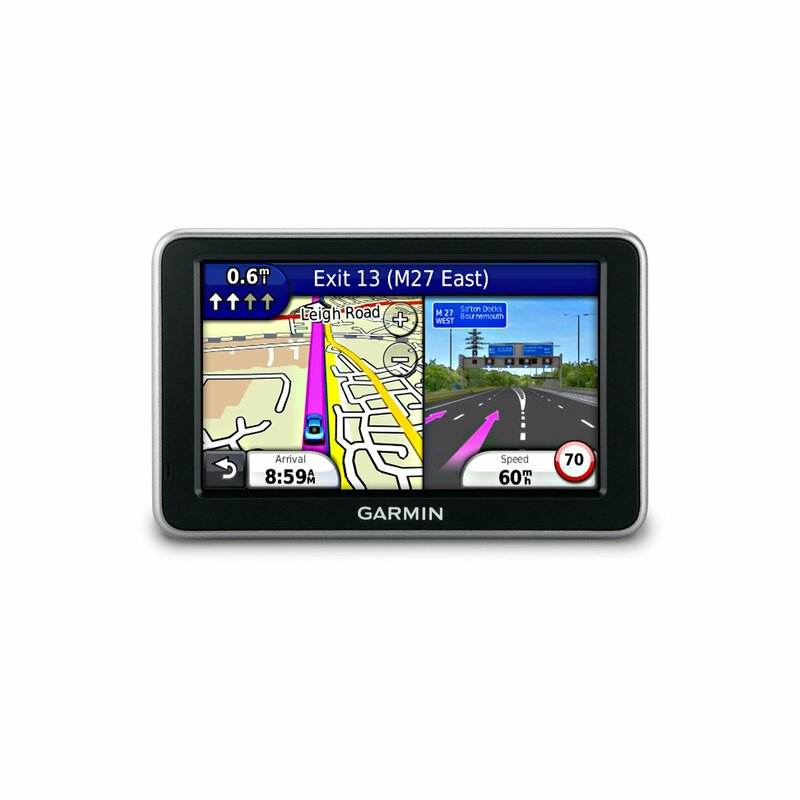 Experience complete door-to-door navigation with nüvi 2440s pedestrian navigation. Purchase optional cityXplorer mapping to include directions for places you wouldn't be accessing while in your car - including footpaths and shortcuts through parks. It also tells you where to catch trains, buses and tubes (dependent on the city) and how long it will take you to reach your destination. cityXplorer even contains public transport timetables to ensure you arrive at the station on time and avoid any delays (dependent on the city). When continuing the journey on foot, nüvi 2440 uses Park Position Recall to automatically mark and help you navigate back to the place you park ' ideal when leaving your vehicle on an unfamiliar road or busy retail complex. The Where am I? emergency locator is a very useful safety feature if you break down or need to find a local service urgently. Simply tap the car icon on the map screen to view your exact coordinates, nearest address and junction, contact details for vehicle recovery services and directions to hospitals, police and petrol stations nearby.